Kits include Rails, Tapped Strips, Rack Ears, 40mm Side Plates and hardware. We are now able to supply custom width Skinny Racks up to a maximum of 196HP. 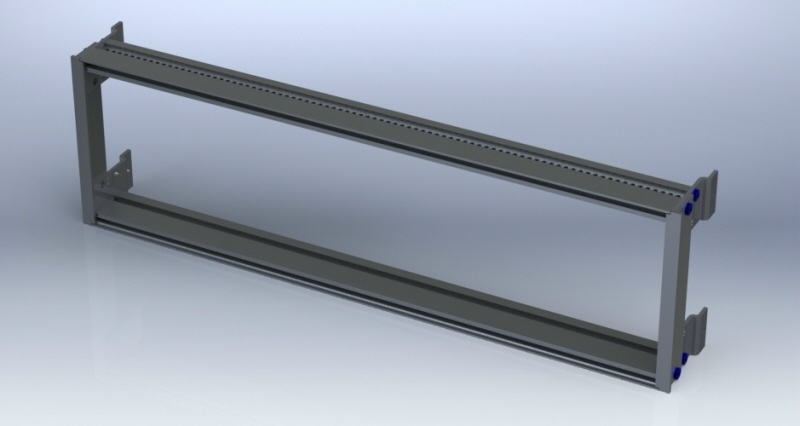 To order, select the next length Skinny Rack Kit and add the 'Custom Rail Length Surcharge'. In the comments field simply state the desired width of the rails in HP. NB the Skinny Rack Ears add just under 4HP to the total Skinny Rack width so if your cabinet opening is, for example, 92HP (467mm) then you should specify 88HP as the desired rail length.